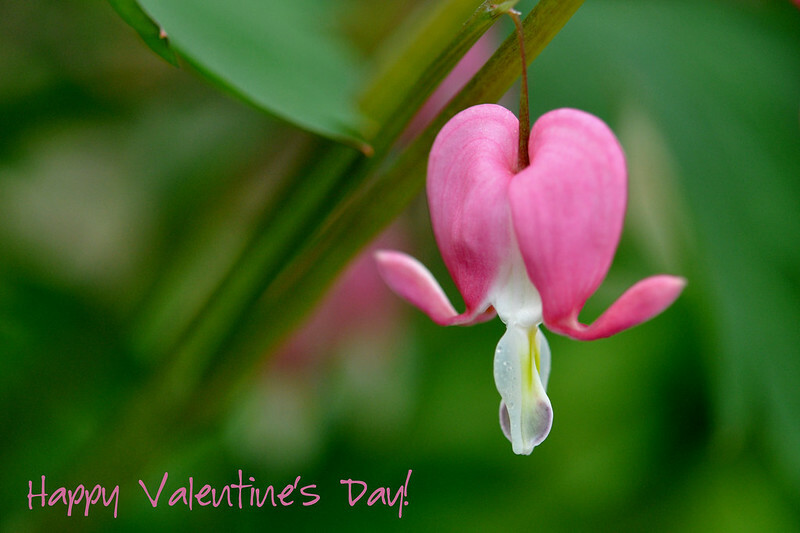 What better flower to represent Valentine’s Day than Dicentra spectabilis or Bleeding Heart? This entry was posted in photography and tagged bleeding heart, bokeh, dicentra spectabilis, Valentine's Day. Bookmark the permalink. Absolutely a classic. Lovely shot. That would make the perfect Valentine’s card. So lovely. What a nice thing to say–thank you, Caroline. Do you celebrate the day over there? No, we don’t. They try to promote it but so far it didn’t really work. I think Germany does it now. And of course in France and the UK but Switzerland is rather closed to foreign traditions. Halloween didn’t work either. I’m a little surprised since St. Valentine was from Europe. Some of these holidays have gotten so commercialized, so it may not be a bad thing, Caroline. That describes bleeding heart so perfectly, Cheryl. Just gorgeous! Lots of love to you! Perfect! Hope you had a marvelous day. Yes, thank you! Hope you did too. My mom always had bleeding hearts in her garden when she lived in a “hospitable” climate. 🙂 This is really pretty.